A certified Nursing Assistant (CNA) helps nurses care for patients and the elderly. You can become a CNA by completing a trading program and passing an exam to earn certification. The basic responsibilities include checking the patient’s vitals, updating charts, feeding, changing and bathing certain patients, keeping their living area clean, or any other tasks that may arise in the line of patient care. Where Does a CNA Work? A CNA can find work in hospitals or various care homes or retirement communities. According to the Bureau of Labor Statistics (BLS), CNAs commonly find employment at nursing care facilities, continuing care retirement facilities and assisted living facilities for the elderly, and general medical and surgical hospitals. However, CNAs can also work independently in private homes. CNA jobs, much like any other nursing and healthcare jobs, are expected to grow at a higher rate than the average by 2022. According to the BLS, it is expected to grow by 21%. There will be a high demand for CNAs in the coming years, mainly due to medical advancements which have resulted in longer life spans and a growing aging population. As a result there are going to be more job opportunities for those training to be CNAs. According to the BLS, the expected median annual salary of CNAs in 2014-2015 is $24,420. However, actual salary may vary depending on various factors, and the highest 10% CNAs make more than $35,330. People working as CNAs can also look at this as an entry level job to a promising nursing career. They can further their education and become LPNs, VPNs and even RNs, who can make more than double this amount and are well-respected medical practitioners who can even diagnose and prescribe medication and treatments independently much like any general physician. 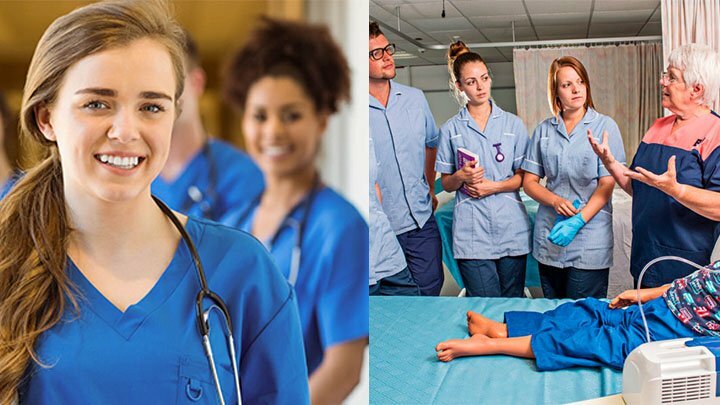 CNA jobs offer a great chance for career advancement if you work hard and develop a connection with patients and the nurses you work under. Becoming a CNA is a great way to find your way into a promising nursing career. Your training time is less, and you can acquire a certificate with a high school diploma, which means you can start earning fairly quickly and then think of furthering your studies when you have enough savings to do so.